Mengyu Zhou - PhD at Tsinghua, Founder of Lab μ and Club ε. Founder of Lab μ & Club ε (student associations). 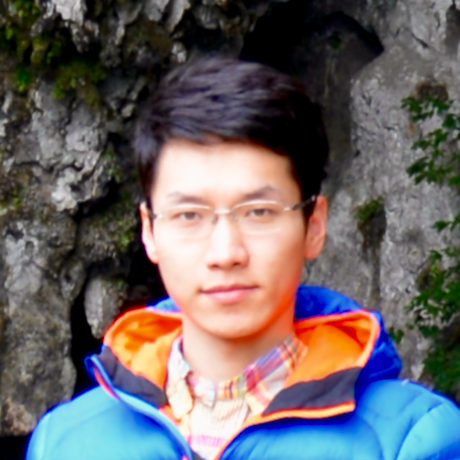 I am a PhD candidate at Institute for Interdisciplinary Information Sciences (IIIS), Tsinghua University and a member of Netman Group at Department of Computer Science and Technology, Tsinghua University. I have successfully published research work on using big data science & machine learning for characterizing campus life including WiFi experience, social-physical interactions and education. I am the founder of two science and technology related student organizations at Tsinghua: Lab μ Geek Association and Club ε Neuroscience Interest Group. In Lab μ, I led the > 50-people team on the design, development and promotion of 3 popular products — TUNet automatic network manager, Tsinghua Now campus life assistant and CaμsKit large event services — at Tsinghua University. Currently I am actively looking for jobs and positions for my career after PhD graducation in July 2017. Pushing forward the boundary of human knowledge and technology, and applying them to build exciting new products always make me exciting. Please feel free to contact me and download my résumé. Mobile tool app for the campus network of Tsinghua, which automatically helps students to login, manage and protect their campus network accounts, etc. on their mobile devices. Mobile helper app for campus life at Tsinghua, which presents prioritized information card flow to notify students about deadlines, course schedules and announcements. Toolkit for large performances (such as student festivals). It consists of deployment of enterprise WLAN (WiFi Network), WeChat wall, lottery page and Danmaku system. My research interests are: Data science, Network science; Machine learning; Mobile & ubiquitous computing, Wireless networks; Measurements, analyses and predictions of large-scale human behaviors. My advisors are: Thomas Moscibroda and Dan Pei. IPSN 2017, Pittsburgh, Pennsylvania, USA, April 2017. UbiComp 2016, Heidelberg, Germany, September 2016. My expected graduation time is July 2017. I am now open for hiring. Welcome to contact me! Following are my English résumé and CV.